Are you organized for success? IT is charged with innovating the business but does this depend upon IT innovate itself first and how IT does business with its stakeholders? Given that IT organizations are chartered with automating many of these management approaches, I wanted to get the #CIOChat’s take on Gary Hamel’s ideas and whether they should be changing IT organizations. While #CIOChat members felt that innovating organizational structures is a worthy discussion for CIOs, this particular chat turned into a discussion between the CIOs and Dion Hinchcliff. For those that are not familiar with Dion, he is a management thinker, business strategist, enterprise architect, and more recently an industry analyst. And it turns out that Dion has actually been thinking through how Hamel’s thinking should be impacting IT organizations. CIOs do see “change as a constant” but interestingly they are not all ready to radically rethink their own organizations. One CIO said “until we figure out how to change, I’m not sure I agree”. Another claimed that she does not yet believe that enterprises organizations have reached the limits of improvability, but having said this, she added that she agrees with Gary Hamel regarding the importance of adaptability, creativity, and innovation as being drivers of business success. One IT leader agreed with her by saying that “theory probably is reaching the limits, but practice probably still has lots of room for improvement”. At this point, Dion challenged people’s thinking. He suggested that Gary Hamel is right. He said what he personally likes to call ‘legacy management’ has reached its limits in an age where change grows exponentially. At this point, Dion said that he believes as well that IT management is now out of date too. Dion suggested that CIOs should respond by moving to more of a network-like model for teams, departments, Centers of Excellence, etc. Dion points to the rise of DevOps as a proof point of this change. 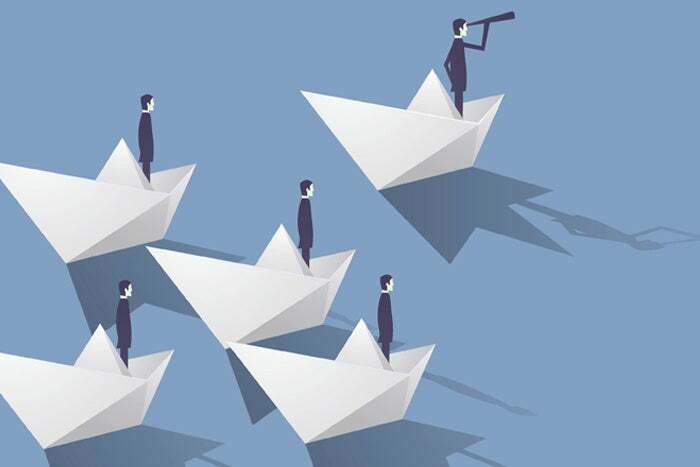 After hearing this, one CIO said that he agrees with the need for a new model, but he also suggested that leadership is far more impactful than putting boxes on an organizational chart. Veteran Industry Analyst, Jack Gold, said that IT has been always been “challenged improving management, whether people or technology. Management can always be improved but there are limits to everything”. Jack Gold said unfortunately “few orgs really are at the limit of their improvement potential yet. And new tools/techniques often have not been deployed efficiently”. Dion countered by saying the core challenge is that the world now changes exponentially, while organizations change linearly. Hierarchical models can't cope with radical change. One CIO said that organizations for this reason need to start focusing effort and allocating resources on transformation. They need to start balancing run, grow, and transform. There needs to be—this CIO believes--less run and much more transform. Another CIO said, “sure, some are end of life, but there are so many organizations stuck in the 90s with room to grow”. This CIO believes there is always more room to improve as long as there is leadership to do so. He claimed that he still runs into too many CIOs that are operating in command and control mode. As part of the above changes, Dion asserts, middle management has been hollowed out. He expects this trend will continue because there is less need to track, report, and spread information in the digital age. With this said, I asked Dion and the CIOs whether organizations need to challenge orthodoxies that constrain creative thinking in their organizations. This is a major point from Gary Hamel’s book. I, also, asked how IT leaders can help? Dion said when disruption is around the corner for many organizations doing things in old ways are not tenable. The challenge, Dion says, is that the old ways are often easier because they preserve legacy revenue models and organizational structures. It makes things look 'fixable’ when they are not. At this point one CIO chimed in and agreed. This CIO suggested that it is important to embrace diversity, to actively listen, and to limit the urge to suppress ideas that are not in line with current thinking—CIOs need to find a way to give them life”. Dion shared here the work of Dave Gray as providing great examples of organizations that are figuring out how to respond. Dion believes interesting that IT is the ideal place to demonstrate new forms of management. One CIO interject here that leaders must always provide an example. He said this is another reason why today's CIO must lead business from the front rather than the back. As an example of this changes, Dion says that he now sees agile, DevOps, and other new IT models steadily spreading to other business departments. One CIO says the answer is of course yes. One CIO said that they feel like a broken record in repeating run, grow, and transform. He said that we’re often too heavy on run. The challenge is balancing budget, attention, and priority between operations and innovation in IT. The above CIO said sadly, a little known secret outside the CIO office is 80-90% of budget is for existing IT, with little left for innovation. There are of course CIOs that are doing much better. One IT leader said for too many CIOs, run is comfortable and familiar. It's easy to address because it has less uncertainty. Many CIOs tend to stay in this comfortable bubble. One CIO said here “but we can change”. Dion then pushed further by suggesting that without designing for loss of control, you really can't get anything done, as you have to do it all yourself. One CIO agreed by saying this so true. He said the best way to retain influence is to give it away. Dion presented the following chart to display this change. Another CIO suggested that it is important to play both the long and short game in IT. You have to continually produce results and introduce innovation to achieve success. One CIO said that she is moving more towards capabilities like "service". But it's truly hard to separate this from technology. Dion said there is no future for IT as a purely technical organization. Those days are over. IT is a business function now. One CIO said that said, let's all take an honest look at our organization charts and see how well we're really doing. This CIO said that part of the reason is that IT people often get into IT is because they are passionate about technology, not business. Today CIOs say that technology is becoming the business. It seems clear that CIOs see the need to innovate. And many within the #CIOChat see the need to innovate their organizational structures as part of this effort. Gary Hamel ideas especially as extended by Dion should challenge our thinking about IT leaders role in business innovation especially how they are organize for continual business success. What’s the Right Speed for Real-time Response?